20 different ribs. Four hours. You pick the winner. What is this "taste ticket" I keep hearing about? 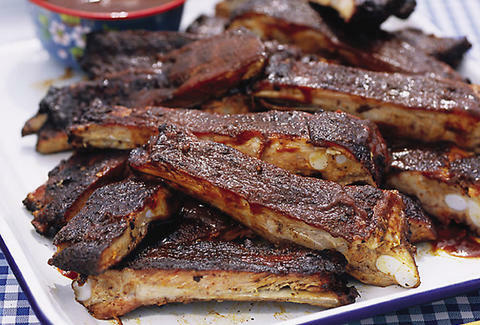 Simple, it's your all-access pass to 10 rib samples from the 23 area restaurants (Trina's, Area Four, Atwood's, Ole) that'll be grilling, smoking, and serving. And it also doubles as your ballot for the People's Choice Award, so don't forget to vote for Ed Begley, Jr. in every category. But can I get in and/or eat without one? Yeah, you can get in, since actual admission is totally free, and they'll be tons of other food for sale from the likes of Tupelo, Abigail's, Catalyst, and Lord Hobo. But this is a ribs fest, son. You wouldn't go to a pie-eating contest, and not eat pie, right? Or a contest to see who has read the most Nancy Drew tomes and not bring all your Clue Crew and Super Mystery Hardy Boy crossovers. Wait, what are we talking about, again? Anything else to do while wandering around Cambridge Street in a pork-induced haze? Oh yes. Not only can you rock out to live bluegrass, but they'll also be a series of gratis cooking demos focused on prepping non-rib foods like fish and Tex Mex, a lot of which is actually smoked, ballot initiative or not.